Same plant, different season. These photos were both taken this week. The New Zealand photo simmers of summer. I start to sweat just looking at it. I can feel the waves of heat coming off the plumes, hitting me in the face. 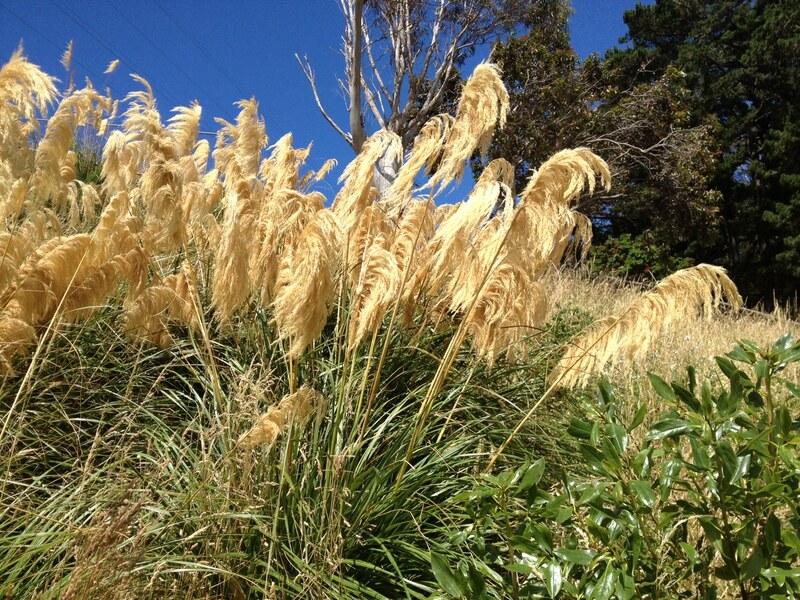 The azure blue sky is brilliant and the plumes look like a soft, warm golden sweater. I sure it’s just my size. I’d like to try it on. Right now! On the other side of the world the Pampas grass in Sammamish has a graceful curve. Like a frozen water fountain, it forms a pleasing line as it falls like frozen flakes of snow. I’m actually quite impressed at how good this grass looks in January. It doesn’t have a lot of dead leaves like many I’ve seen. 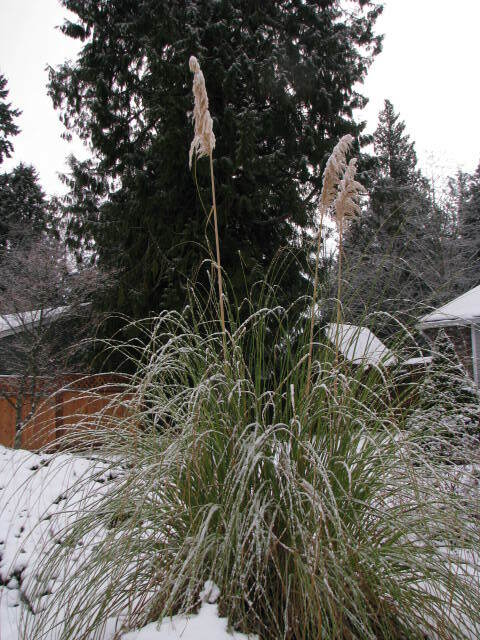 Cortaderia selloana (Pampas grass) can be invasive and difficult to remove in California and the South, but it doesn’t seem to be a problem in Washington. It grows best in full sun in either dry or moist soil and is very fast growing. One characteristic about this plant that sets it apart from most ornamental plants is the sharp edges on the leaves. I’ve simply brushed up against it and started bleeding after the razor-like edge sliced open my skin. A good adaptation if you don’t want to be eaten or moved!